Warriors membership has moved on-line with Swim Manager by Active Network. This new cloud based system will allow the membership function to be streamlined and introduce better financial control. Please read our Date Protection Statement by clicking HERE. Once you have registered you can sign in to the Swim Portal to edit your details, add another swimmer and make payments to the Warriors. 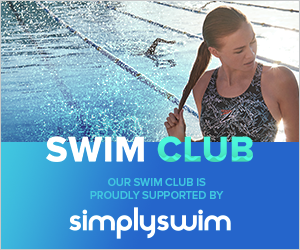 Click HERE to sign in to the Swim Portal and access your Active.com account. To learn more about Swim Manager please click HERE. For information about ActiveWorks technology and security please click HERE. A series of FAQs about Swim Manager are available on the FAQ page. Please note that these questions are currently being updated. To check your Swim England membership click HERE. Enter your family name or membership number. This membership check applied to all categories of membership. We are always sorry to see swimmers leave our club but if you wish leave the club please email leaving@swimwarriors.org.uk and your request will be received by Head Coach, Secretary, Membership and Site Manager so we can carry out the necessary Warriors actions. Please note that parents/swimmers can request their Swim Manager information to be deleted if they decide to leave the club by emailing gdpr@activenetwork.com using the email address they registered with. This request most come directly from parents/swimmer and not the club. Please fill in the form below and click the Submit button for further details on membership.